Through outreach at shelters, school and drop-in programs, CCH community organizers and youth attorneys reach almost 6,000 people a year at 35 programs across Chicago. 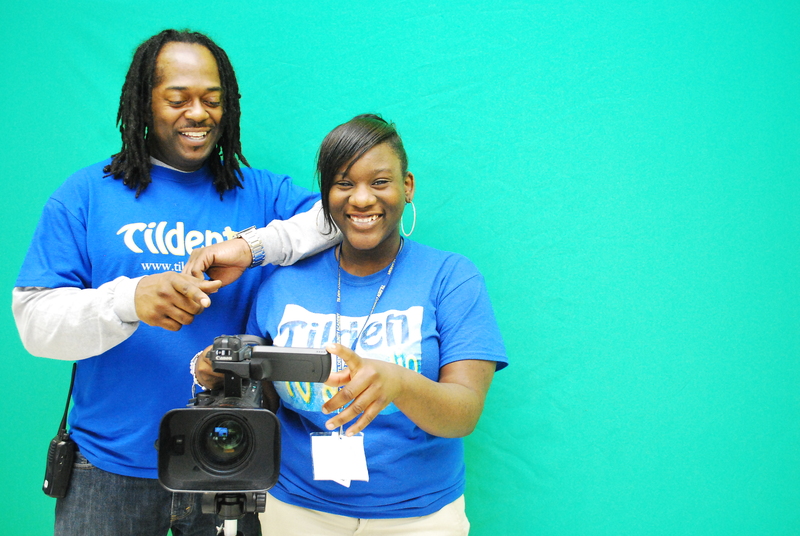 In a new effort, two organizers began working last year at Tilden Career Community Academy. More than 200 students at the South Side high school are homeless, exceeding 60% of total enrollment. Most of the homeless teens find shelter at the homes of friends or relatives, usually in overcrowded conditions. While they realize they live in highly mobile circumstances, being publicly acknowledged as homeless can seem a bigger stigma, especially to teens. 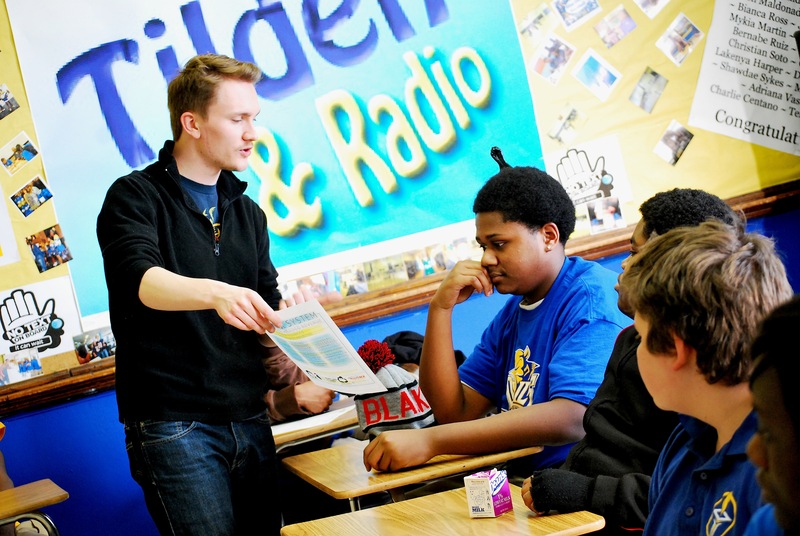 When CCH organizers began working with Tilden’s TV & Radio Club, they decided with advisor Michael Finney to make sure the students understood what homelessness is and whether they had experienced it. “You can’t speak up about an issue unless you know it is your issue,” said J.D. Klippenstein, CCH’s AmeriCorps VISTA organizer in 2013-14. “We met with J.D. and Wayne (Richard), and after awhile, everybody just basically started talking about their own experiences,” said senior Tia Carter, the club president. 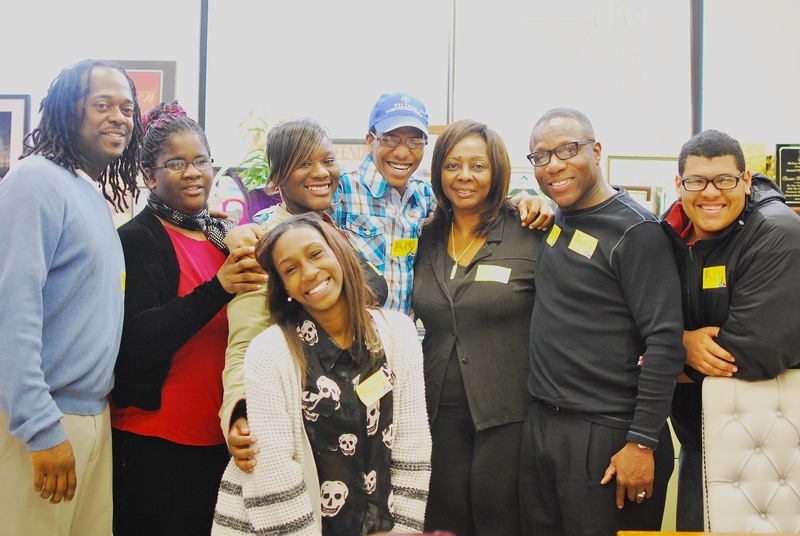 Tia, 17, offered to be one of the four students who told their stories for a video project. Tia tells how hard it was when her mom lost her job, forcing the family of five to live in several shelters, and later with a grandma, when Tia was in sixth and seventh grades. “We had to get up really early to get to school on time, like 5 a.m. It was kind of embarrassing. I still worry, ‘What if we end up in the same situation again?’ It used to be something I’d hide, but now I feel like a leader,” Tia said. 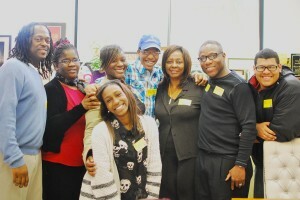 Tilden students decided to take part in a panel discussion that CCH student volunteers organized at DePaul University in March. Speaking were Senate President John Cullerton, CCH Speakers Bureau member Ashley Allen, and a Tilden junior named Tim. Tim talked about how his family was about to move out of state after being unable to keep up with Chicago area rent prices. A couple weeks later, Mr. Finney and 13 students traveled with CCH to talk to legislators about programs to help homeless students. “A lot of the kids had never been to Springfield, so CCH prepped them for what they were walking into. The training was great,” said Mr. Finney, noting with pride that students talked capably with nine legislators. Mr. Finney’s students were likewise pleased when State Sen. Mattie Hunter met them in May to watch their new video and discuss homeless school funding. Tia says Tilden’s CCH project was a highlight this year, and she’s grateful to have become involved in it through Mr. Finney. Tia has her mom but no father in her life, while some of the homeless teens she knows must live on their own, with no parent or legal guardian to look after them. She says having a school advisor like Michael Finney makes a real difference. “Mr. Finney is so involved. He cares like a real father would. He’s so busy, but he makes a lot of time for the kids,” Tia said.